“The Trumpet and Other Poems from East Africa” is a series of poems from Ugandan author Mugumya Amooti, R. who currently resides in Rwanda. The poems focus on six issues: (1) Politics and Governance in Africa, (2) Faith and Religion, (3) Materialism and Morality, (4) Love, (5) Nature and Society, and (6) Death and Metaphysics. Religion as not just a private commitment but also a public witness. Full Media Services is currently preparing three publications scheduled for release in 2018/2019. The fifth volume in this series is currently in the pre-publication process and is scheduled for release at the 2018 FAHE conference in June. This volume will focus on Quakers, Politics, and Economics and is edited by David R. Ross and Michael T. Snarr. The third publication in this series, Conversations in Communication, Volume 3, will focus on Cyber Security in IT organizations. As an ongoing collaboration with authors from Africa, which grew out of a current teaching collaboration Donn has through The University of Hartford with his former student Dr. Joe Olzacki, Full Media Services will publish another book by a Rwandan author. The first publication was a series of animated stories intended for young adults with a moral theme throughout. This new publication is a series of poems focused on six issues: (1) Politics and Governance in Rwanda, (2) Faith and Religion, (3) Materialism and Morality, (4) Love, (5) Nature and Society, and (6) Death and Metaphysics. Full Media Services is dedicated to publishing content that is new and innovative. This includes, but is not limited to: novels and short stories; non-fiction books and articles; and scholarly research. In addition to publishing, we work to place writing that is worthy of broadcast to a wider audience. If you are interested in publishing with Full Media Services, please send an email to: info@fullmediaservices.com. Also, view our full portfolio of custom services on our services portfolio page: https://fullmediaservices.com/services/ we are eager to help you with your next project! 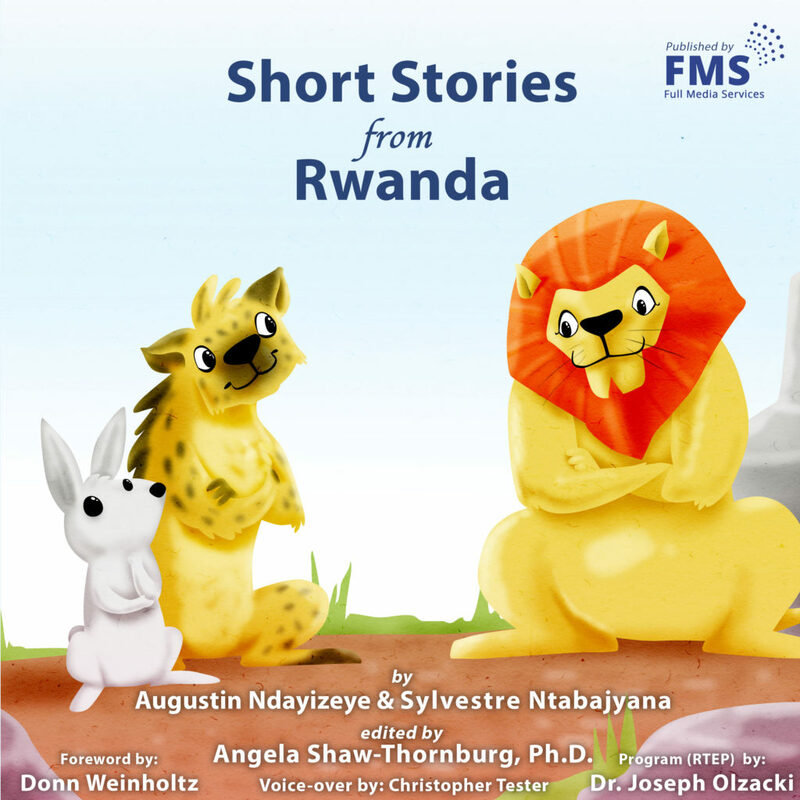 Short Stories from Rwanda is a series of short stories from authors Augustin Ndayizeye and Sylvestere Ntabajyana. The central message of this book is to facilitate children, young and adult people to gain insight on mutual interdependence, forgiveness, courage and teamwork spirit. There are three versions of the book currently available, Print Color, Black and White Edition and E-book. They are all available through Amazon and additional retailers. The audiobook is available through Google Play and several additional retailers. To learn more about the series, visit our page dedicated to the publication here.